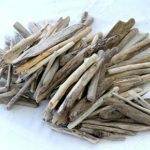 Driftwood Weathering Wood Finish will create a beautiful and natural looking driftwood weathered appearance to bare and unfinished wood. 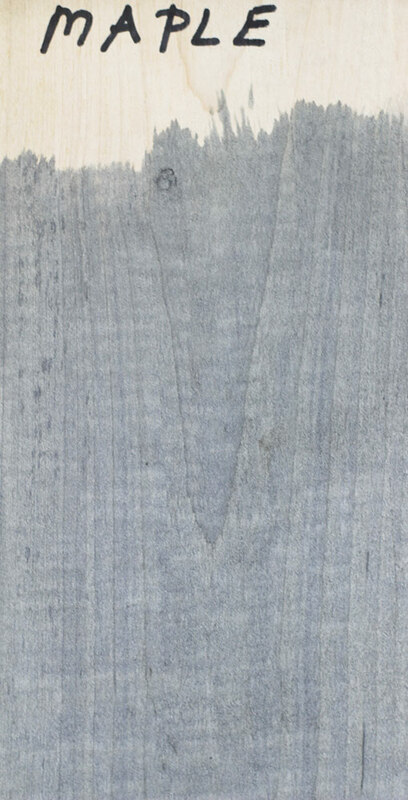 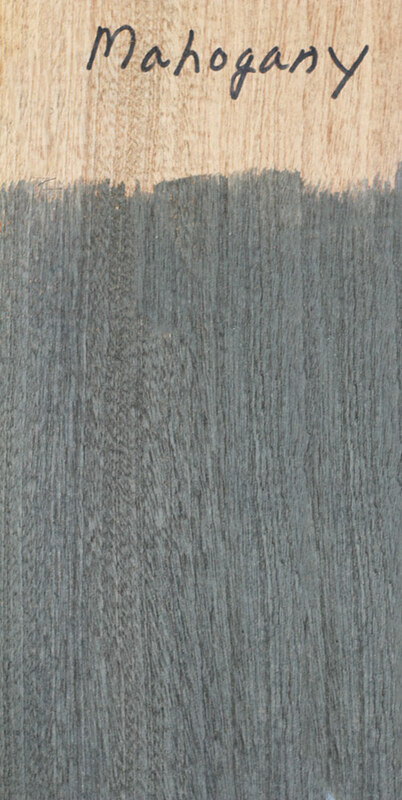 Driftwood Weathering Wood Finish is a simple powder mixture which will provide a gorgeous, beautiful and long lasting weathered gray driftwood finish when applied to bare, unfinished wood or wood that has been stripped and sanded. 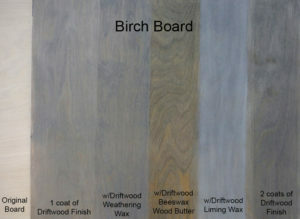 The solution penetrates deep into the wood resulting in the lifetime color of your indoor or outdoor furniture. It’s very simple and easy to apply and the results are amazingly quick with no messy cleanup. 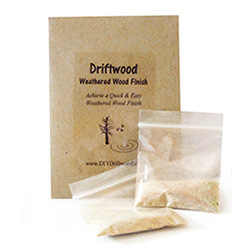 Driftwood Weathering Wood Finish is available in single size (1 envelope w/2 packets); 2-Pak size (2 envelopes w/4 packets); or 5-Pak size (1 box w/10 packets). Each packet covers 25-35 sq. 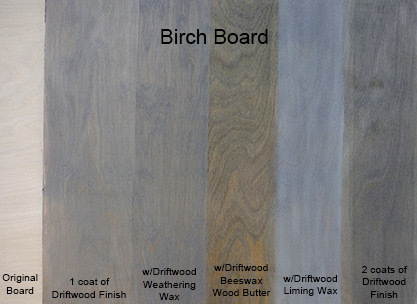 ft. depending upon the type of wood and whether you like your finish dark or light. 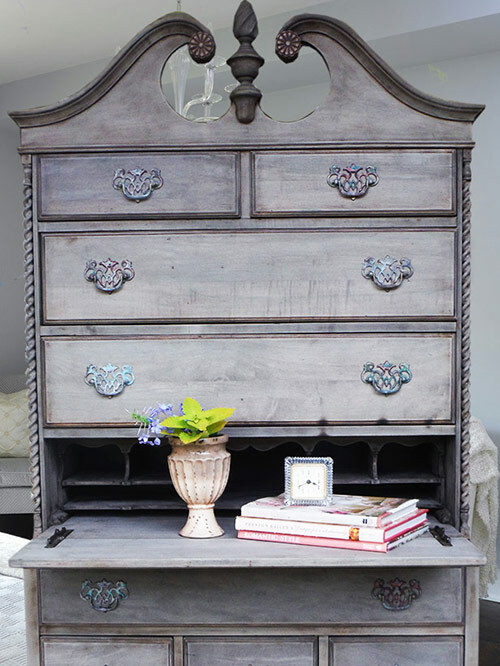 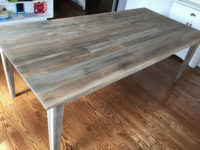 Also check out Danika Henrick’s blog Gorgeous Shiny Things for a review from Danika and how she used Driftwood Weathering Wood Finish product and Diana Henkler’s blog InMyOnStyle for her review. 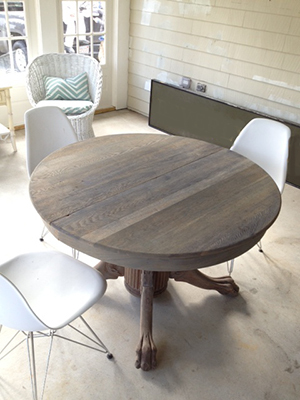 You can use any top coat product you wish over the Driftwood Weathering Wood Finish. 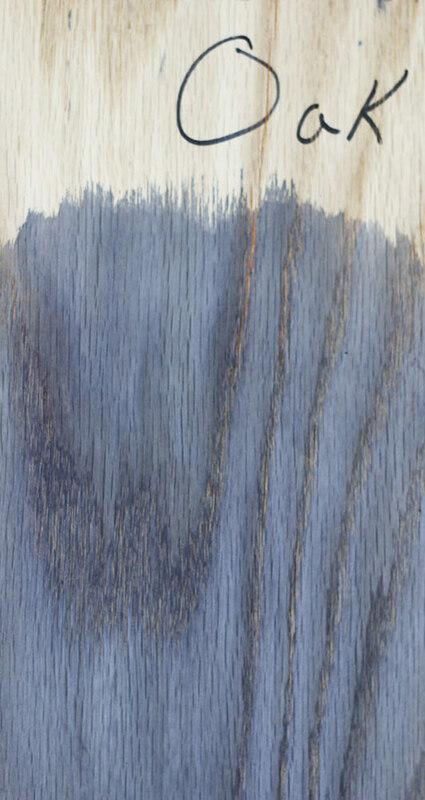 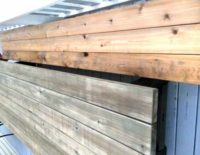 Keep in mind that most oil based top coating products or ones that contain solvents will usually change the color of the Driftwood Weathering Wood Finish from gray to more brownish and will normally make it darker. 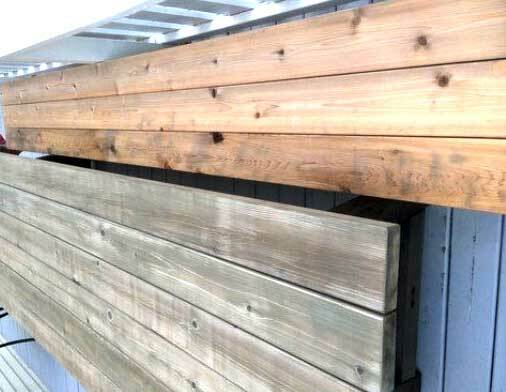 This is not necessarily a bad thing as certainly weathered wood comes in various shades of brown, but if you prefer to keep the gray tones as much as possible, you need to look for a water based top coat without any solvents in order to preserve the color. 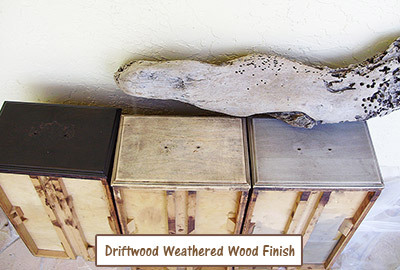 Of the many top coating products we have used, we find our new Driftwood Final Finish Liquid Wax to be one of the best at preserving the color of the Driftwood Weathering Wood Finish. 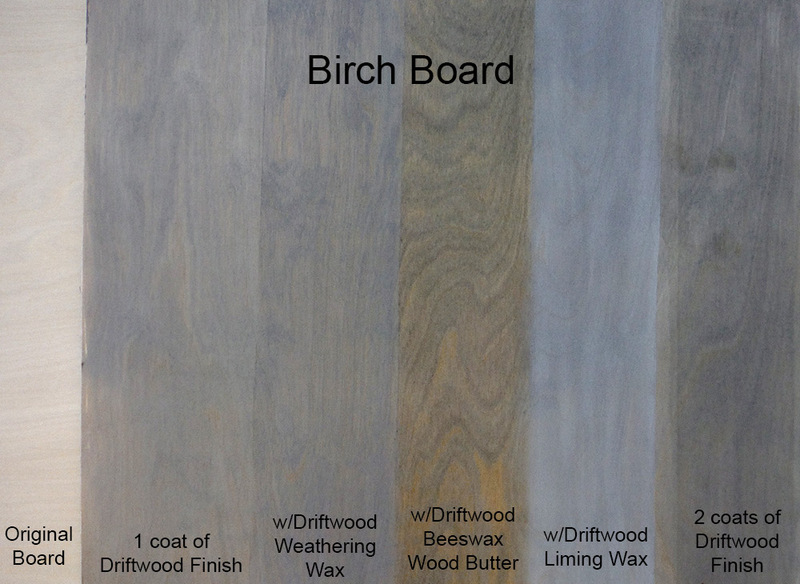 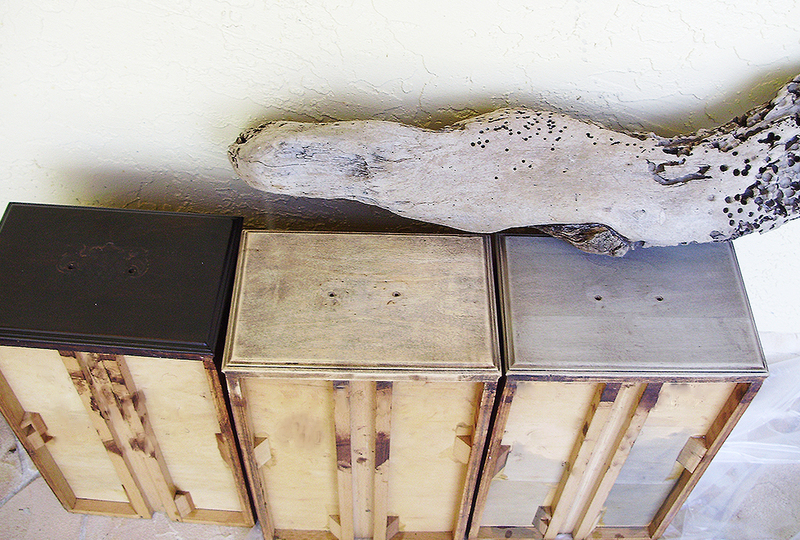 Use as a top coat on furniture, cabinetry, floors and any indoor piece over your Driftwood Weathering Wood Finish. 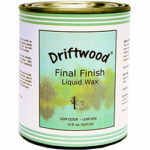 It will seal the finish with a layer of carnauba wax leaving a very hard and durable protective satin top coat. 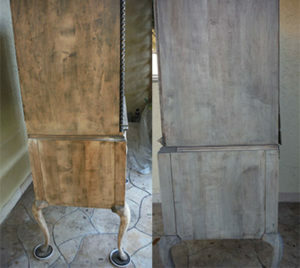 Just apply with a sponge brush, soft cloth or paint brush, let it dry and then buff to a final hard finish. 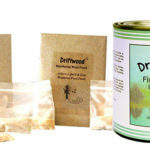 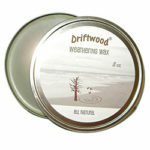 Driftwood Final Finish can be used over any of our waxes for an extra durable finish or used alone. 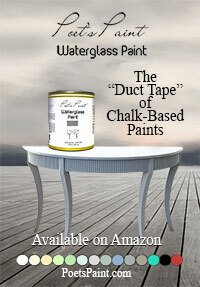 It will provide a water resistant finish but NOT a waterproof finish. 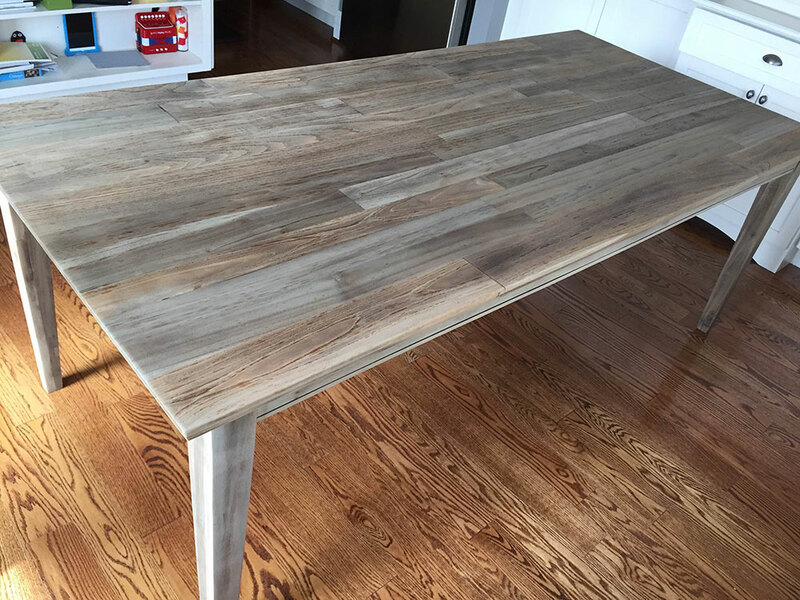 The pictures below include a mahogany coffee table that was initially stripped of its original stain, painted a distressed white and then stripped and sanded again before applying the Driftwood Weathering Wood Finish. 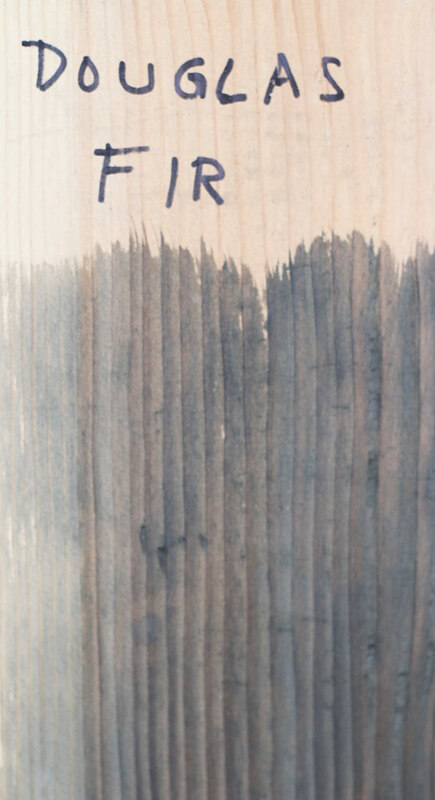 There’s no need to be precise. 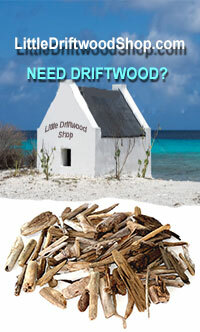 You will see the solution working on most woods within a 10-15 minutes. 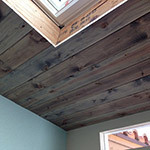 The results will darken slowly over the next 24 hours and it will actually quicken and enhance the procedure if applied and left to dry in the sun. T This dining chair previously painted white, was sandblasted to remove the paint. 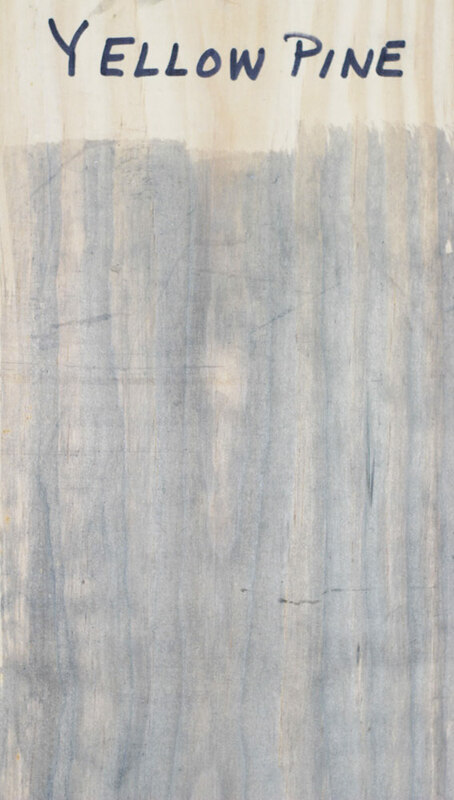 There is still a lot of bits of white paint in the crevices. 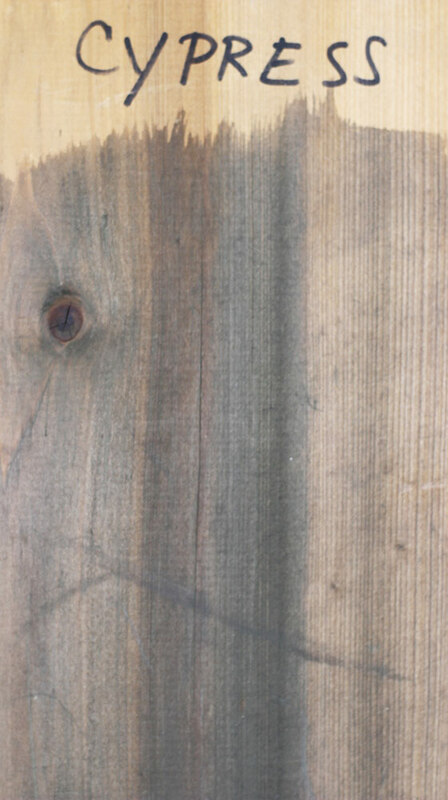 No idea what type of wood this is but it is very pale, dense and hard without much grain. 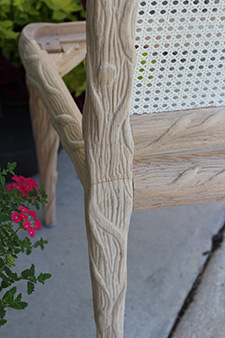 The carving however is quite exquisite. 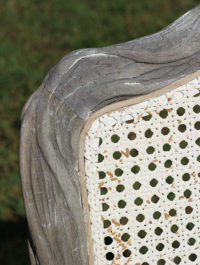 I had no idea how the Driftwood Weathering Wood Finish would react to this wooden chair. 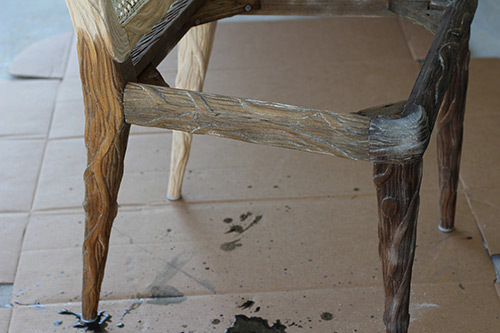 Once I had applied the solution, I became apprehensive as I was getting a lot of different colors and brown tones. 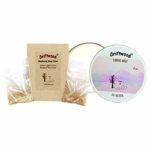 You just have to be patient and give the product time to work its magic. Sometimes you don’t think it’s doing anything at all and sometimes it looks rather scary like above. 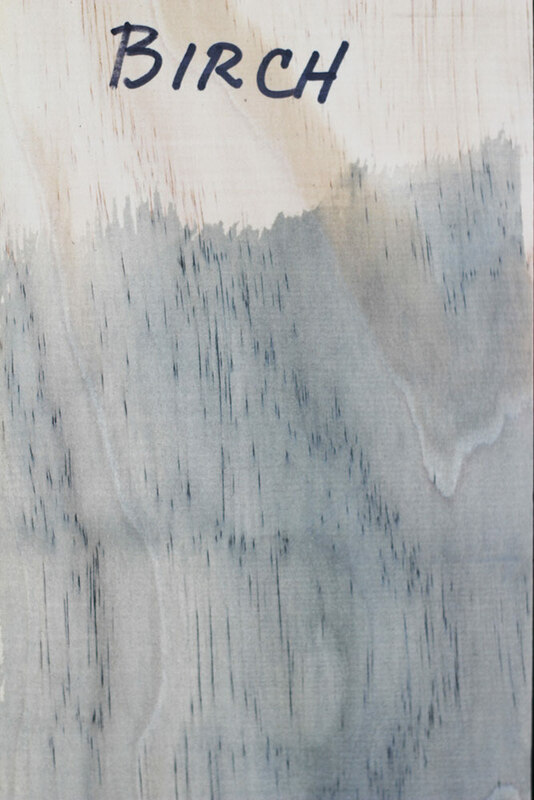 Be patient. 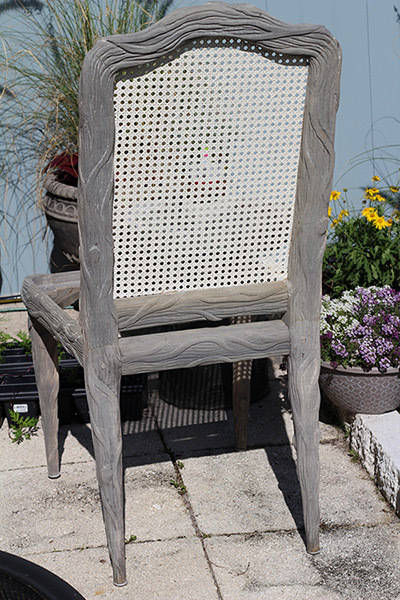 Here’s the chair after an hour in the sun. 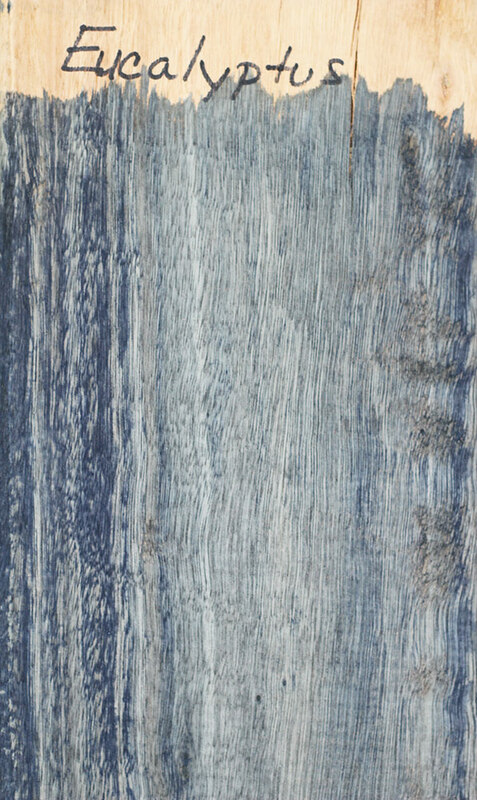 It’s exactly the color I was hoping for. 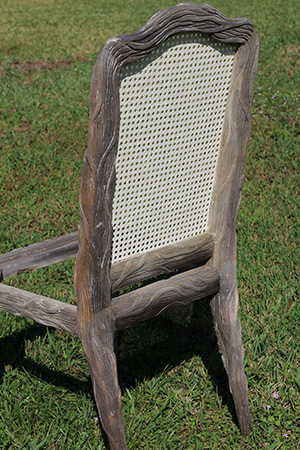 This chair took less than 10 minutes to apply the Driftwood Weathering Wood Finish and about 45 min. 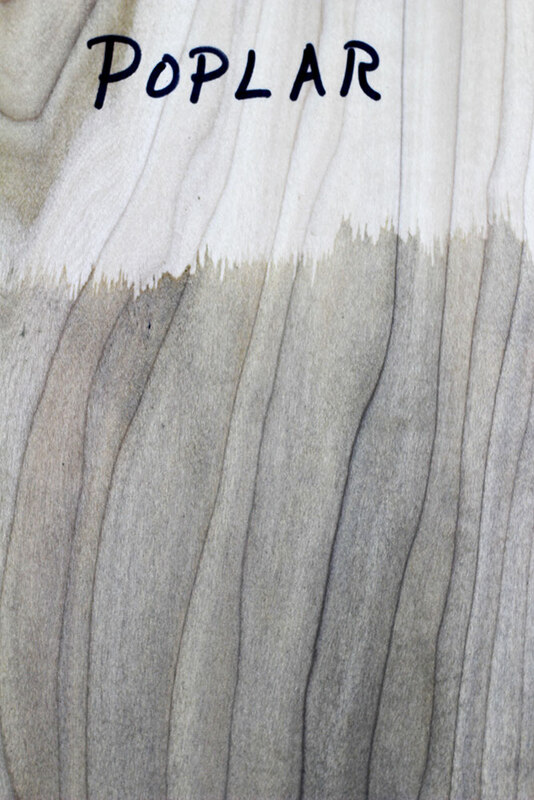 to dry.